Get ready for more celebrities and spirits. Today, E! announced season two of Hollywood Medium with Tyler Henry will premiere in August. The series follows Tyler Henry, a sought-after medium, as he gives readings to various celebrities and tries to communicate with their departed loved ones. Season two will include appearances from Kris Jenner, Tori Spelling, Melissa Joan Hart, Carole Radziwill, Moby, Kevin McHale, and Retta. New episodes of Hollywood Medium begin on August 17th at 8 p.m. ET/PT. Los Angeles, CA, June 29, 2016 – He saw stars; now stars seek him out. 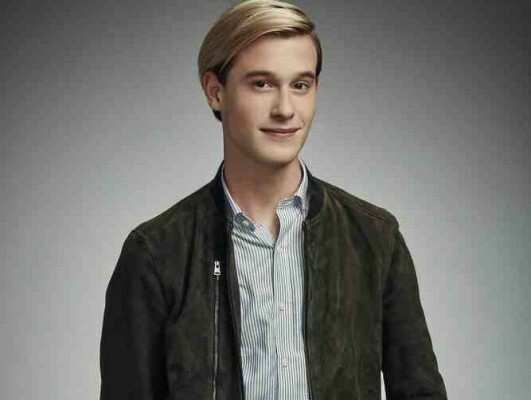 On Wednesday, August 17, one of Hollywood’s most sought after mediums, Tyler Henry, returns to deliver astounding readings to celebrities looking for advice, connection and closure with loved ones who have passed on. The series, which is produced by Emmy-nominated 44 Blue Productions and Corbett-Stern Productions, premiered in early 2016 as E!’s most watched unscripted series launch in three years with total viewers, excluding spin-offs. Season two of “Hollywood Medium with Tyler Henry” premieres Wednesday, August 17 at 8pm ET/PT on E! In the all-new season, the 20-year-old medium, clairvoyant and medical intuitive sits down with a vast variety of both believers and skeptics, to convey messages from beyond. Celebrities meeting with Tyler in season two include Kris Jenner, Tori Spelling, Melissa Joan Hart, Carole Radziwill, Moby, Kevin McHale, Jewel, Roselyn Sanchez, Austin Mahone, Retta, EJ Johnson, Rachel Hunter, Lil Jon, Whitney Port, Jennifer Esposito, Joely Fisher, Audrina Patridge, Kendra Wilkinson, Cory Feldman, Linda Blair, Mae Whitman, WWE Superstars’ Nikki and Brie Bella, Madison Beer, Evelyn Lozada and Shaniece Hairston. In addition, Tyler will sit back down with Nicole “Snooki” Polizzi, who had a tear-jerking reading in the show’s first season, for an emotional follow up session. However, before the all-new season begins, catch up with Tyler as he counts down his top 10 readings from season one and watch never-before-seen footage in a “Hollywood Medium: Tyler’s Top Ten” airing Wednesday, August 10 at 8pm ET/PT. The special will also include in-depth interviews with Tyler, where he will reveal more about his process and what he sees while delivering his clients’ messages. What do you think? Have you seen Hollywood Medium? Will you watch season two?